Karen Walker had some of the best sunglasses around, don't you think? 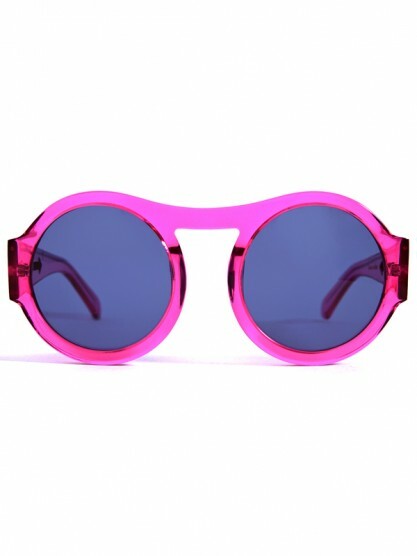 The round shape tends to feel boho, but in neon pink it's actually more versatile! Buy these at Gargyle for $180.